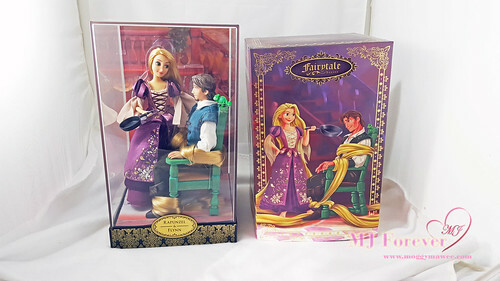 Disney's Designer Fairytale Collection presents iconic film moments in dramatic limited edition doll sets. Finely costumed and intricately crafted, Rapunzel and Flynn get tangled in a hair-raising scene that also includes a tiny Pascal figurine. The Disney Designer Collection brings to life your favorite characters, celebrating iconic moments throughout Disney's film history. Reflecting scenes of magic and adventure, Disney Store Artists have captured these characters in unforgettable detail. Stories of heroism, friendship, and wonder span generations, creating an indelible legacy that continues to reach fans of all ages. Rich, evocative and dramatic, this doll set will be a treasured keepsake for collectors and fans alike. * Please note: Intended for adult collectors. Not a child's toy. Limited Edition items (excluding apparel) may not be returned or exchanged.